Part of the Salinas Pueblo Missions National Monument, Gran Quivera was an important trade Center before and after the Spanish entrada. Apache raids, drought, and famine caused the Pueblo Indians to abandon the site in 1672. 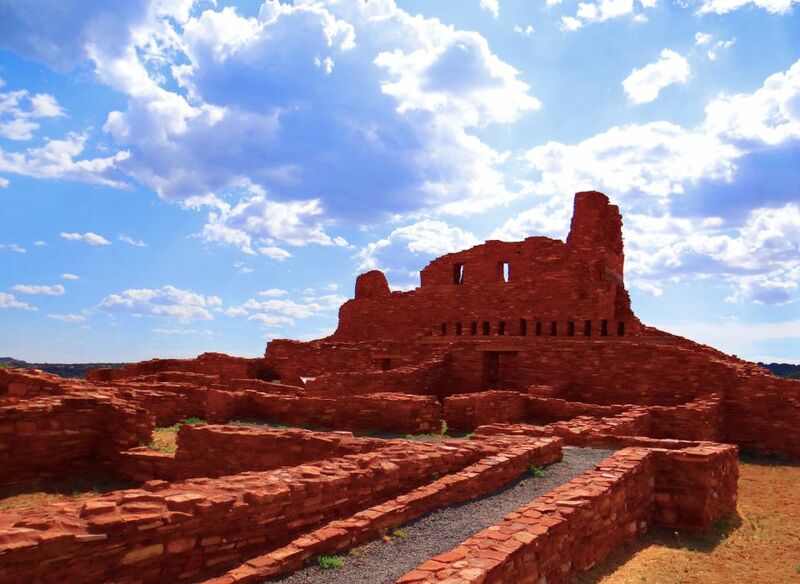 Two churches, excavated Indain structures, museum exhibits, and a 40-minute video are highlights of the site, located on US 54, 25 miles south of Mountainair on the eastern edge of Socorro County.